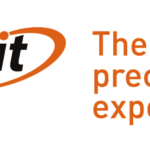 The SBRT Solution is developed in collaboration with users worldwide based on existing SBRT studies, products available on the market and on-site testing to provide a system which combines high technology, ease of use and precision to meet current and future demands. The SBRT Solution provides a precise, stable and easy to use setup that enables you to apply the most effective radiation treatment method for thoracic and abdominal tumours. The SBRT Solution is MR safe. Various configurations of the product are available to adapt it to your needs. The system can be delivered with a long or with a short base plate. 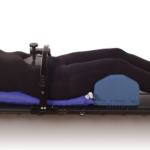 Arms can be positioned by use of the MammoRx arm supports and grips or by use of a cushion. The arm rest cushion can be lifted with the use of an elevation cushion. There is a cranial and caudal position for these cushions. Various indexed positions are available for the hand grips for optimal comfort and reproducibility. The mechanical pressure system consists of a bridge with a pressure plate and a screw. There is a low and a high version of the bridge. 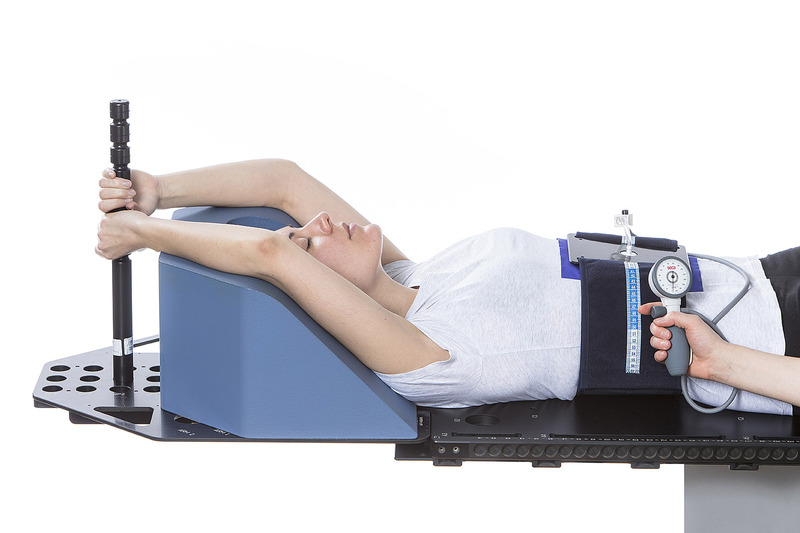 Abdominal compression can also be created with a pressure belt with inflatable air bladder. 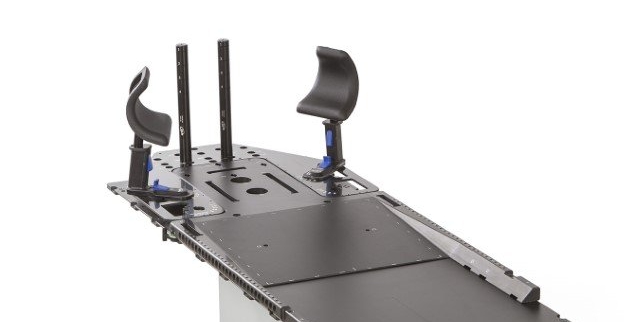 The knees and feet supports are indexed on top of the long base plate. 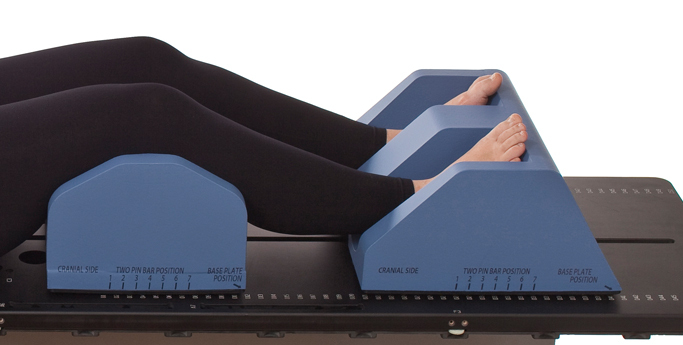 When using the short base plate, the knees and feet supports are attached to the treatment couch with a 2-pin indexing bar. Various sizes of vacuum bags can be indexed both on the long and short SBRT base plate. When using a vacuum bag, blocks will need to be placed underneath the head support to elevate the head of the patient. 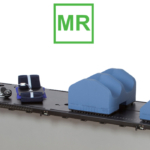 Slots are provided over the entire length of the long base plate to allow the use of different thermoplastic masks. Bouwhuis-Scholten, A.S. (2016) - Patient friendly compression belt settings in liver stereotactic radiotherapy.